Item # 319147 Stash Points: 3,800 (?) This is the number of points you get in The Zumiez Stash for purchasing this item. Stash points are redeemable for exclusive rewards only available to Zumiez Stash members. To redeem your points check out the rewards catalog on thestash.zumiez.com. Tear up the park on a set of Spitfire Formula Four Afterburner Pink & Black Swirl 52mm 99a Skateboard Wheels. A 52mm sizing accelerates extremely quickly, perfect for plaza sections, while the 99a durometer is an excellent middle ground of grip and controlled reverts. Constructed from Spitfire's classic flat-spot resistant formula, you'll be riding these bomb proof wheels for a long time to come. 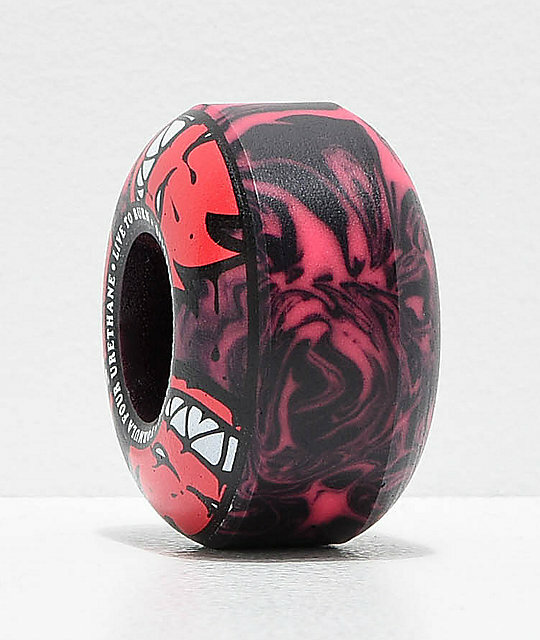 Formula Four Afterburner Pink & Black Swirl 52mm 99a Skateboard Wheels by Spitfire. 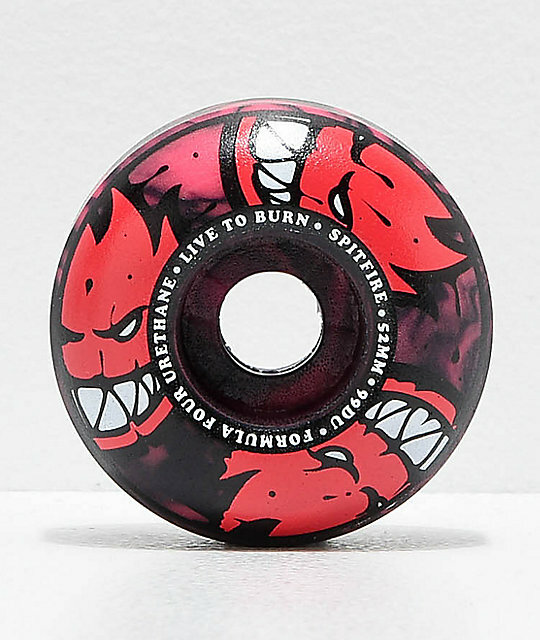 52mm sizing, 99a durometer rating.